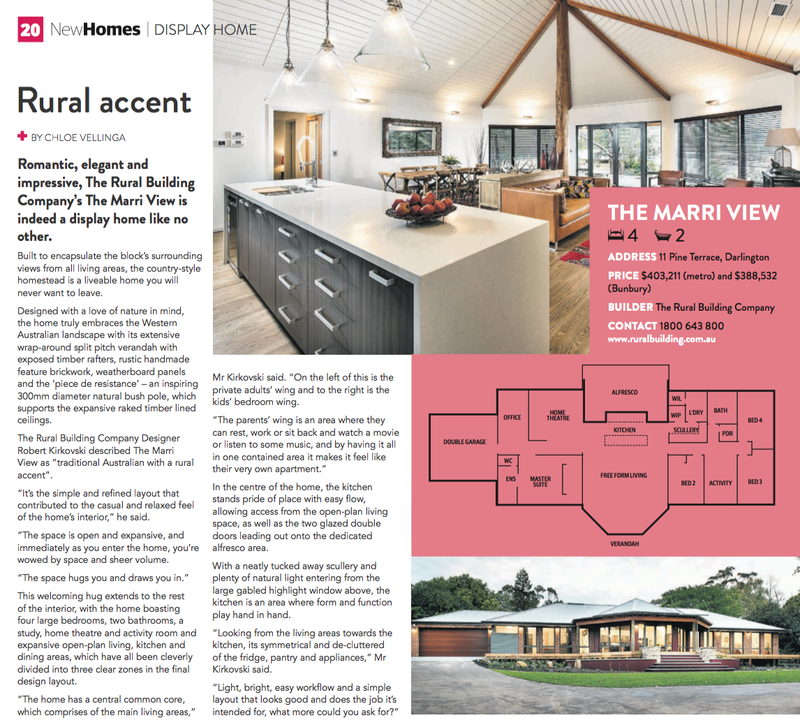 Romantic, elegant and impressive, our Marri View display home is a traditional Australian home with a rural accent. The beautiful Marri View was designed to encapsulate the blocks surrounding views from all living areas of the home including the kitchen. Views are captured in two directions enabling for long vistas to the outside areas. Click the image below to read the full article on the home.